Today’s social media is a tool that plays a big role in the business development cycle. The path to entrepreneurship has been increasingly made easier by the existence of social media to market their best products and attract consumers according to their target market. This topic was chosen as a research topic by Andrew Budianto, who won the Graduate with the Most Active Achievement from the International Business Management (IBM) Program of the Faculty of Business, Widya Mandala Catholic University Surabaya (WMCUS). Started with his interest in coffee, Andrew founded a coffee drink business labeled Kovalen Coffee. He even went to the coffee research center in the city of Jember, Indonesia, to further increase his knowledge. 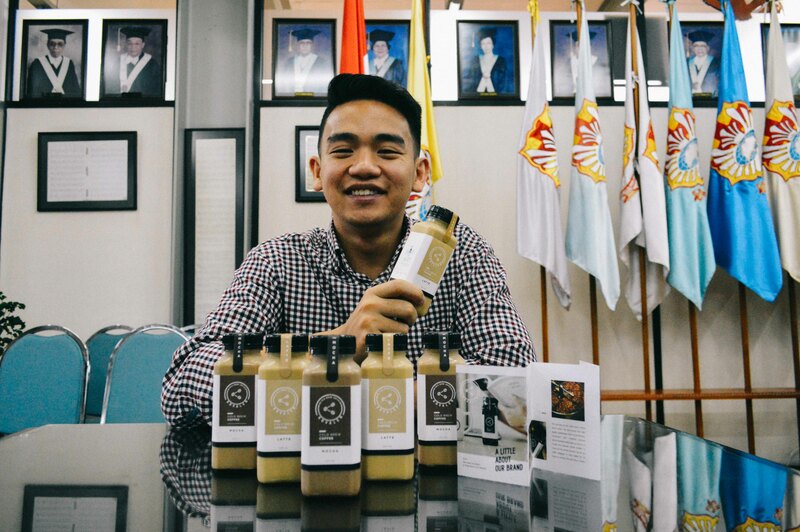 The product was then launched in 2017 and marketed via Instagram (@ kovalencoffee) with a premium target market segment. According to Andrew, Kovalen Coffee has its own distinctive characteristics when compared to other coffee competitors. “This coffee does not make people who drink it to feel bloated. And also, the manufacturing process is done without using hot water. Even natural ingredients are used and without any added preservatives. So, the durability of the coffee is around two weeks,” he explained. One bottle of Kovalen Coffee is priced at IDR 18,000 – 19,000. This business, however, is not without obstacles. As an owner, Andrew must be very mindful in managing his time between college and work, and especially because at the time he started his business, he was also working on his thesis. All of Andrew’s efforts finally paid off when he achieved a final grade point average of 3.89. “What motivated me at that time was because I felt very lucky and I had the opportunity to make choices and have education. It was impossible for me to waste opportunities that were given to me,” he said. During college, Andrew was also active as a member of the Student Association of Management Department (shortened as HMJM in Bahasa Indonesia). He claims to receive many experiences through joining the organization where he could then apply them in the world of work. One of them is learning to trust others and not be afraid to build collaboration. At this time, Andrew is busy participating in a management trainee program at a company in Surabaya. In the future, he also wants to develop Kovalen Coffee even further. “I hope to have a business whose benefits can be felt by many people,” he said.